She was six years old when I first met her on the beach near where I live. I drive to this beach, a distance of three or four miles, whenever the world begins to close in on me. She was building a sand castle or something and looked up, her eyes as blue as the sea. “Hello,” she said. I answered with a nod, not really in the mood to bother with a small child. That sounds good, I thought, and slipped off my shoes. A sandpiper glided by. “That’s a joy,” the child said. 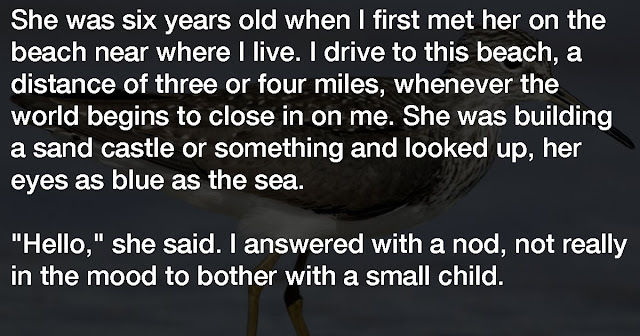 The bird went gliding down the beach. “Good-bye joy,” I muttered to myself, “hello pain,” and turned to walk on. I was depressed; my life seemed completely out of balance. The days and weeks that followed belong to others: a group of unruly Boy Scouts, PTA meetings, an ailing mother. The sun was shining one morning as I took my hands out of the dishwater. 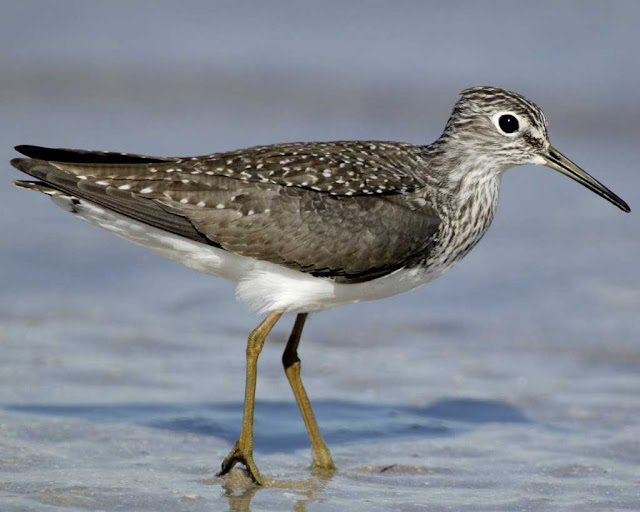 “I need a sandpiper,” I said to myself, gathering up my coat. The ever-changing balm of the seashore awaited me. The breeze was chilly, but I strode along, trying to recapture the serenity I needed. I had forgotten the child and was startled when she appeared. Looking at her, I noticed the delicate fairness of her face. “Where do you live?” I asked. “Over there.” She pointed toward a row of summer cottages. Strange, though, in winter. Three weeks later, I rushed to my beach in a state of near panic. I was in no mood to even greet Wendy. I thought I saw her mother on the porch and felt like demanding she keep her child at home. “Look, if you don’t mind,” I said crossly when Wendy caught up with me, “I’d rather be alone today.” She seemed unusually pale and out of breath. Struck dumb, I groped for a chair. My breath caught. “She loved this beach; so when she asked to come, we couldn’t say no. She seemed so much better here and had a lot of what she called happy days. But the last few weeks, she declined rapidly…” her voice faltered. “She left something for you…if only I can find it. Could you wait a moment while I look?” I nodded stupidly, my mind racing for something, anything, to say to this lovely young woman.